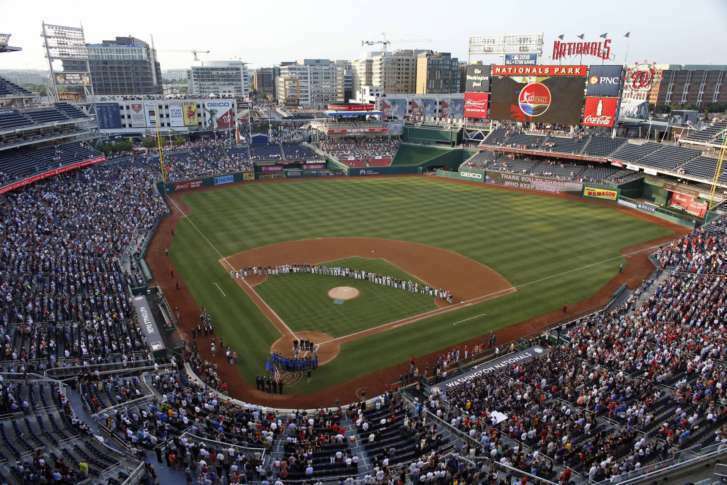 WASHINGTON — D.C.’s annual bipartisan showdown is set for June 14, and tickets are now on sale for the Congressional Baseball Game. The game, a tradition since 1909, is a major fundraiser for local organizations. Last June, a gunman opened fire on a baseball field in Alexandria, Virginia, as Republican members of Congress took the field to practice for the game. Republican lawmakers took to the field last week at the Eugene Simpson Stadium in Alexandria’s Del Ray neighborhood for the first time since the shooting there that critically injured House GOP Whip Steve Scalise. For the game at Nationals Park, gates open at 5:30 p.m. and the first pitch is at 7 p.m.
General admission tickets are $10, reserved seating tickets are $15 and parking is $20. Find more information on tickets on the MLB website.